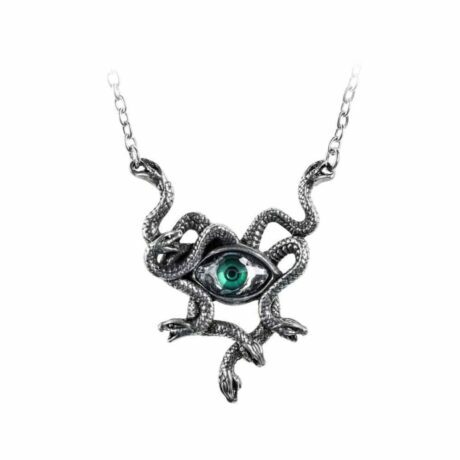 The very essence of the dreaded evil eye, staring from within the writhing snakes of the gorgon Stheno’s living tresses. 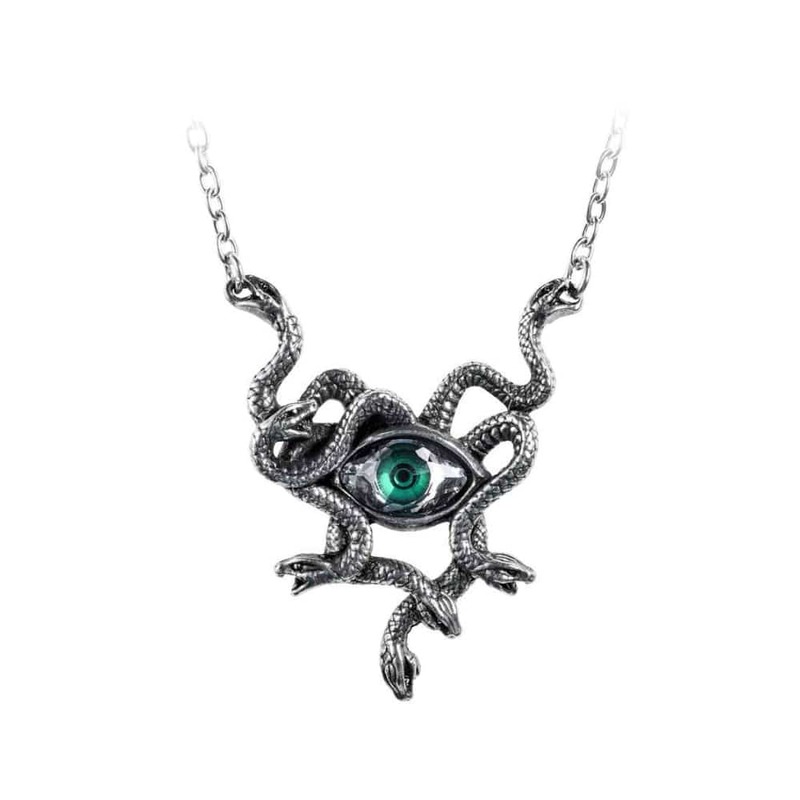 Do not stare into this microcosm of malevolence, for mortal fear of being turned to stone! 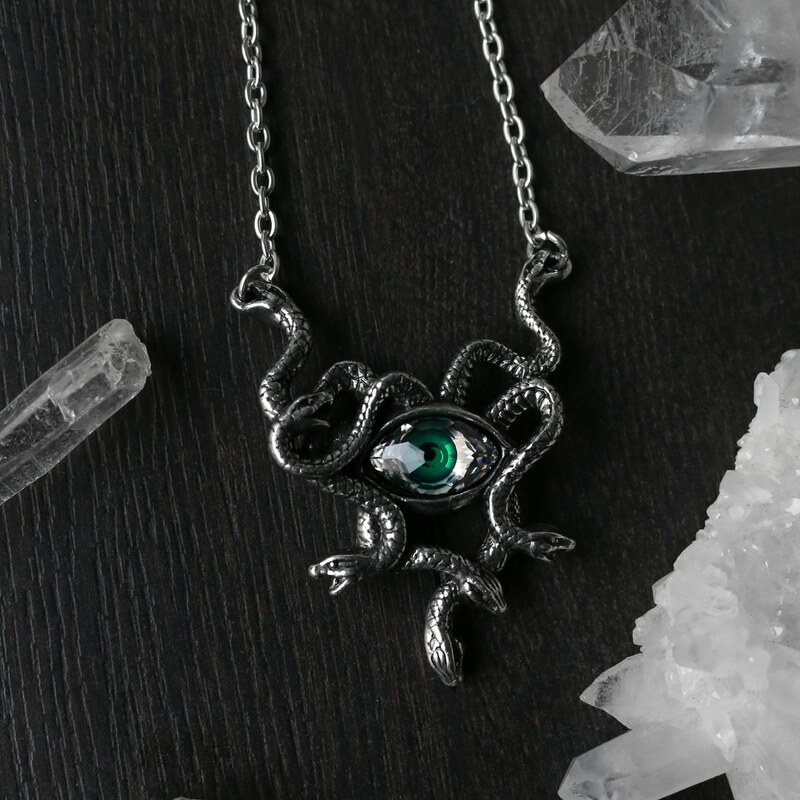 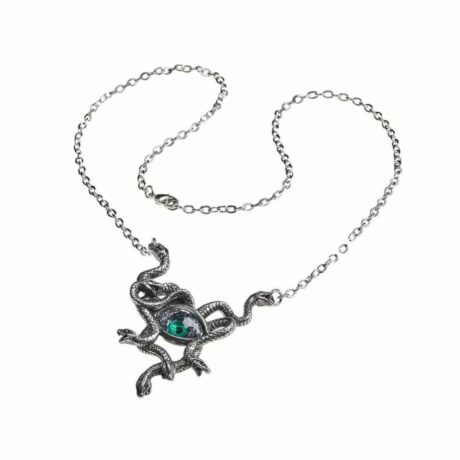 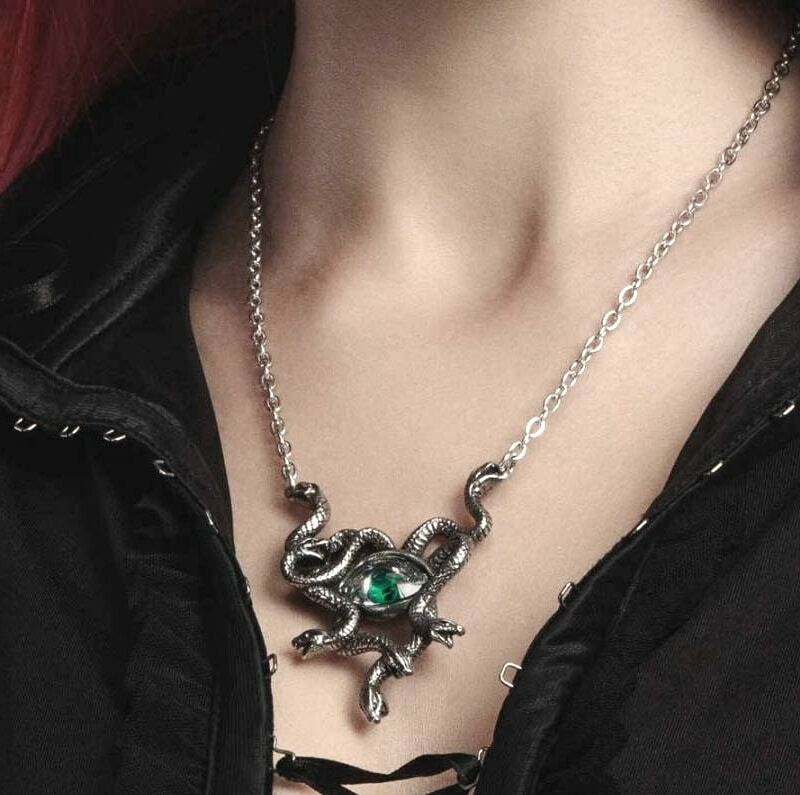 A dark and mysterious serpent necklace with a swarovski faceted crystal eye with emerald green iris.